I'm not a vegetarian or a vegan but I have been introducing a lot more vegetable based meals into my diet. 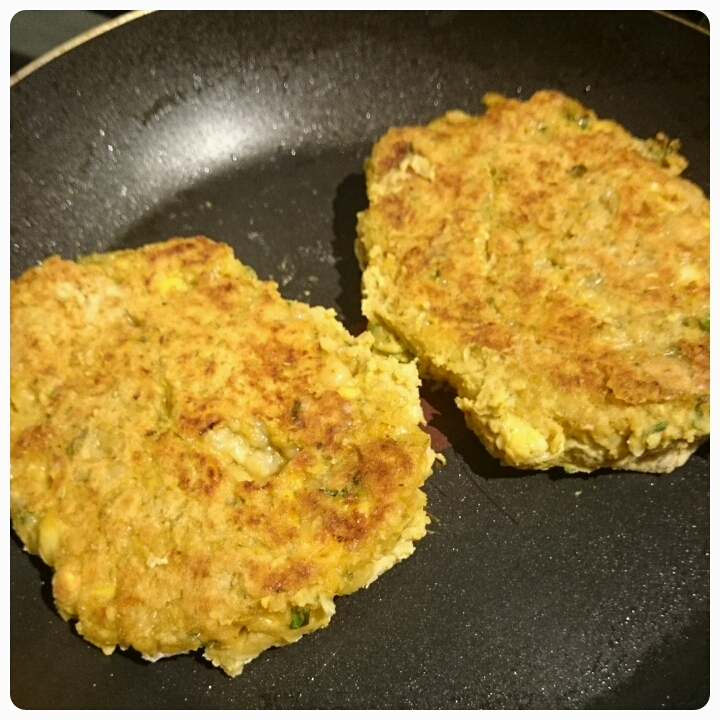 One of my favourite foods of recent weeks has got to be the spicy chickpea burgers that I have been making. Packed full of flavour but with none of the fat from meat, it is both tasty and nutritious. And even better they are simple to make, that easy that the kids have been helping me. 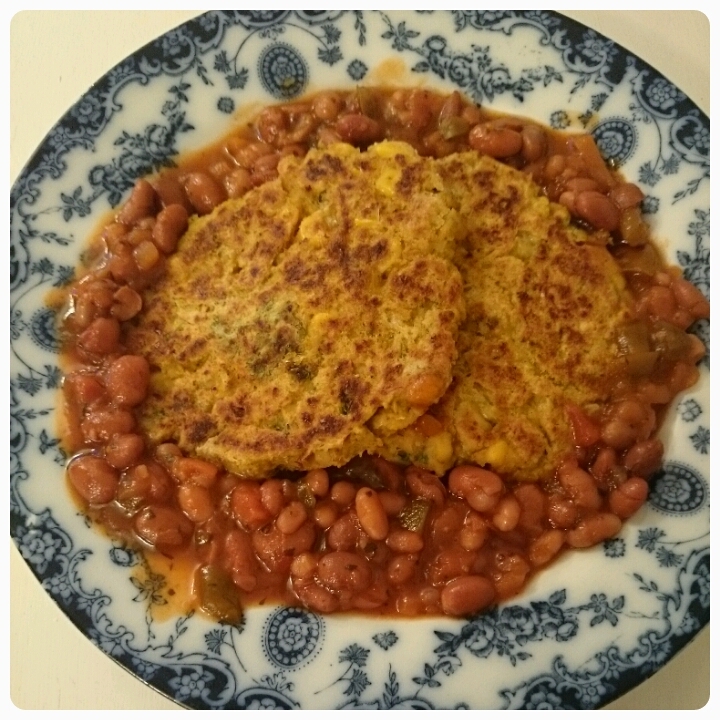 A great thing about these burgers is that because of the chickpeas, they are packed full of fibre and protein and apparently chickpeas are fab for weight loss too so you are actually doing your body good by eating these burgers. * Pop all of the ingredients into a food processor and pulse until the mixture is almost smooth but still retains a bit of texture. * On a clean surface put a dusting of flour and flour your hands also. 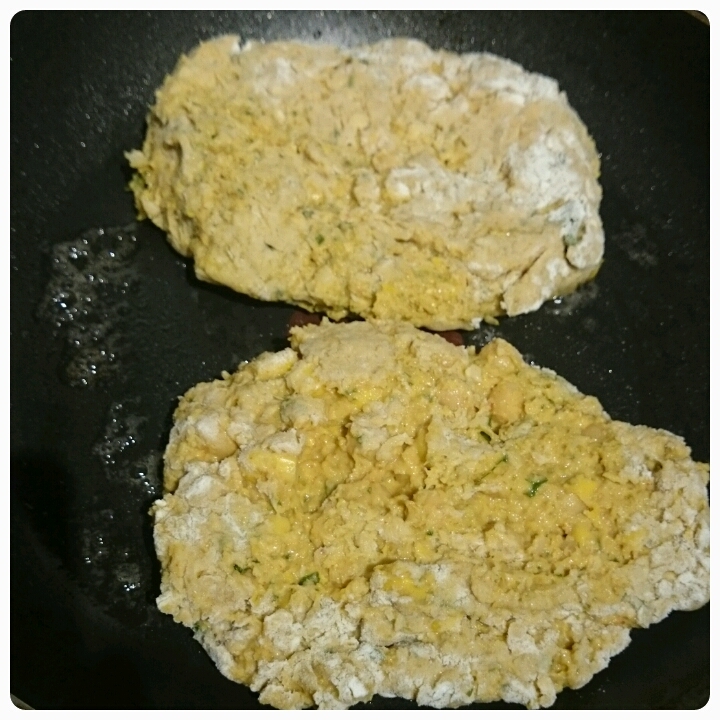 * Divide the mixture into 4 equal parts and shape each one into patties. * Place on a tray and pop in the fridge for an hour. 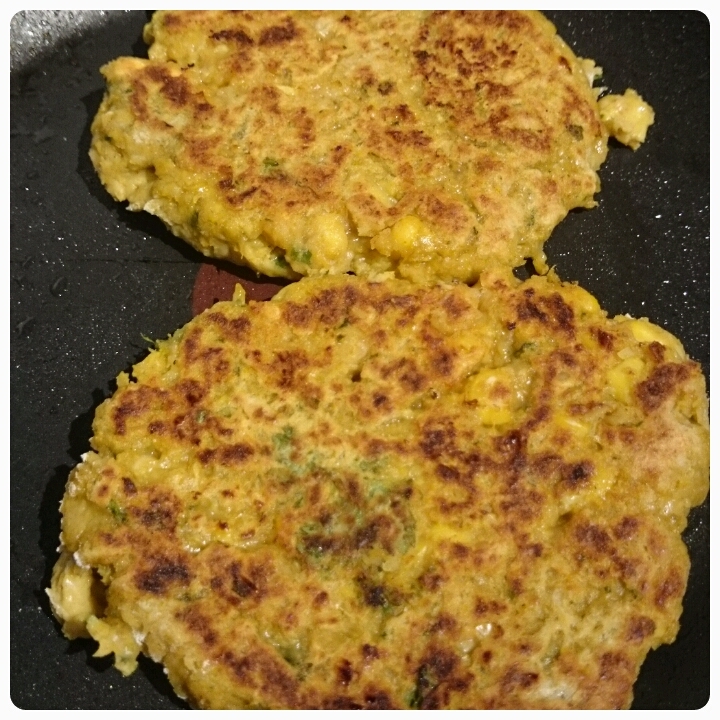 * To cook, heat a large frying pan, fry the burgers for around 5 minutes on each side, until golden brown. I cooked the burgers in fry lite . I opted to serve my burgers with mixed spicy beans and without the buns to keep the calories down but you can of course serve in a bun and wih things like chips, sweet potato fries would be a good option. These look delicious, and I'll give these a go. They look great - plus I have all the ingredients! ooh, I've a can of chickpeas in the cupboard somewhere I think. I thought they were only good for hummus!